To assess practical and theoretical competencies for the operation of a crane for which High Risk Licensing is required. 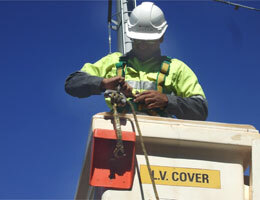 Safelift Consultancy can conduct onsite training and assessments for your staff. We believe that it is a more beneficial way to train people because knowledge of your site and equipment helps maintain a more relaxed training environment. All slewing cranes up to and including 60 tonnes capacity. Crane learning guide will cost $35.00 (inclusive GST). A photo license is issued by WorkSafe WA at a cost of $95.00 for new applications or $74.55 for addition to an existing High Risk Work License..
Crane training and crane assessments for over 60 tonne capacity can be arranged through associates. If a crane operator is operating a crane without a qualified Dogman and a decision is necessary regarding the slinging or lifting of the load, the crane operator is required to hold a Dogmans High Risk Work License. Legislation, Australian Standard, AS1418.1, 2550.1, AS2550.5 and AS1418.5, codes of practice; Manual handling, Prevention of falls at the work place. Pre-operational checks & identification of crane parts. Site and job planning & hazards. Crane operation and crane assembly. Load slinging & load assessing. Hand and whistle crane signals. Operation of crane safety devices, eg: cut-out switches, overload alarms, and AML box (if fitted). Shut down and securing of crane.